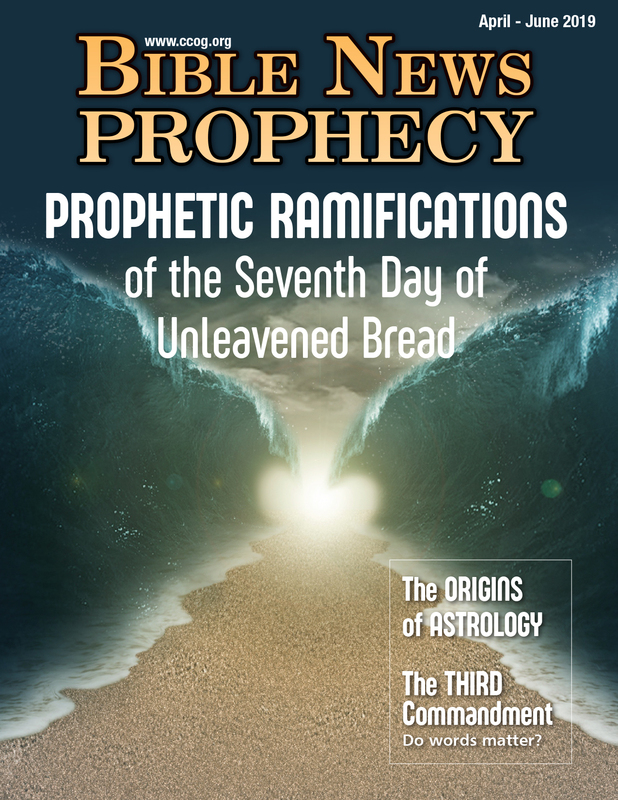 From the Editor: Prophetic Ramifications of the Seventh Day of Unleavened BreadThe children of Israel crossed the Red Sea on the 7thDay of Unleavened Bread. Could the last day of unleavened bread have any prophetic lessons for Christians today? Questions and Answers About Prophecy An update to questions and answers put together by the old Ambassador College. The Third CommandmentDo words matter? Studythe Bible Course Lesson 15: What is ‘Hell’? Most in the world greatly misunderstand this subject. What Does Pentecost Mean to You?Can understanding Pentecost help correct one of the most universally believed false doctrine in the world’s ‘Christianity’? The Origins of Astrology The origins are not biblical, nor have most people been born under the sign astrologers claim.